There seems to be some discussion concerning how the Master Riding bonus works. When you finally get the WaLSTiB achieve, go check your mailbox. In your mailbox is Rédeas do Protodraco Violeta. In order to use this item, you MUST have Artisan Riding. So, you cannot get "two-free" riding levels. You need to shell out the gold for Aristan Riding. It also says, "Upon first mounting, a character without Master Riding will learn Master Riding." 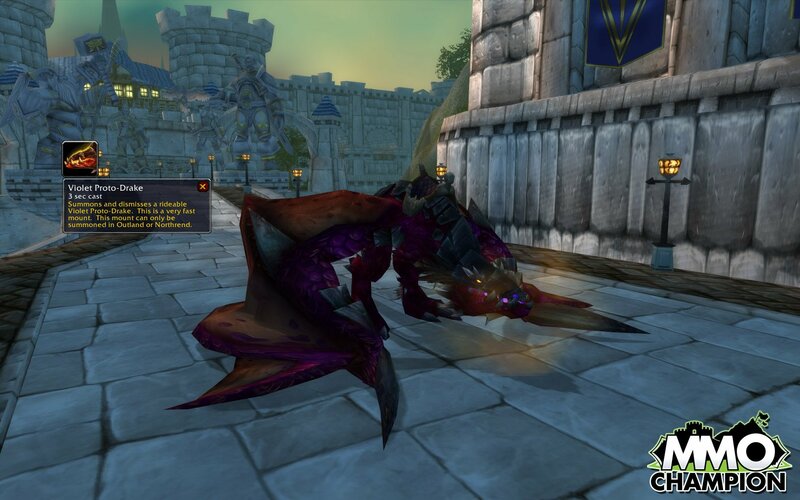 Once you pull the drake from your mailbox, add it to your mount collection and then mount up. As soon as your mount, you will get Ultrapassando a barreira do som. If you already paid for Master riding, you do NOT get a refund. Obter as conquistas dos eventos globais listadas abaixo.